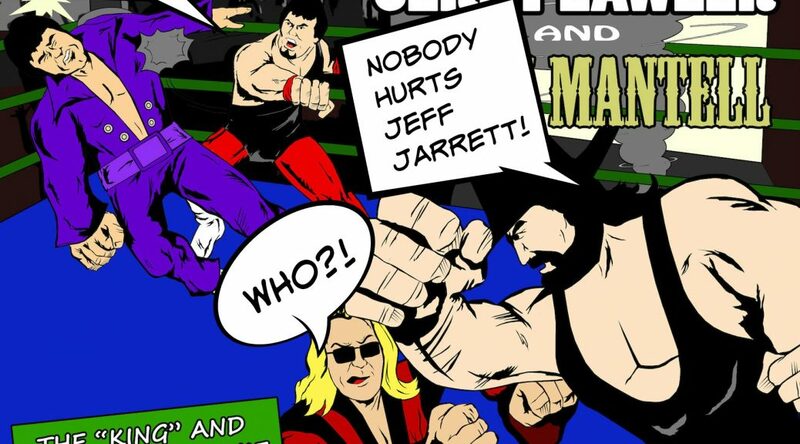 Welcome to a Hall of Fame-worthy episode of Kentucky Fried Rasslin’! This week, KFR host Scott Bowden welcomes Jeff Jarrett, WWE Hall of Fame, Class of 2018, to the show to discuss the former USWA and WCW World champion’s early days in his father’s territory. Double J will discuss his participation in two of the hottest angles—not to mention one of the hottest posters—to ever hit Memphis TV, along with his memories of Tojo Yamamoto, Akio Sato & Tarzan Goto, Tony Falk, Phil Hickerson and Pat Tanaka. You’ll also discover how the founder of TNA also had a hand in creating Kentucky Fried Rasslin’ (true story)! All this and more on episode 16 of the KFR podcast! On this week’s KFR podcast, host Scott Bowden begins his look at the angle that led to The Last Sellout: the return of the King to the Mid-South Coliseum on March 3, 1986, which would be the final time Jarrett Promotions sold out the building. Two of Jerry Lawler’s longtime buddies/teammates who broke into the wrestling business because of the King’s influence join today’s show to discuss their thankless jobs and provide insight into one of the most memorable programs in the territory’s history: Lawler and Dutch Mantell vs. BIl Dundee and Buddy Landel. TV jobber Jim Jamison discusses the trials and tribulations of trainsitioning from the gridiron to the mat with Lawler, and shares his memories of Lance Russell, Jimmy Hart, Jerry Jarrett, and Joe LeDuc. 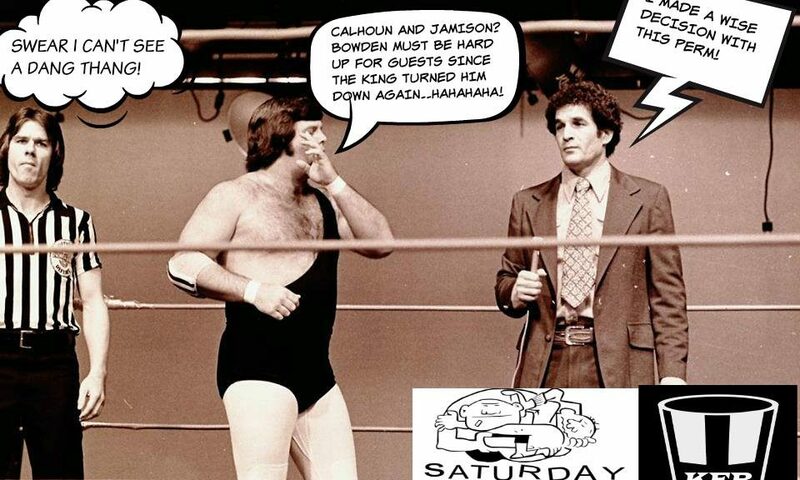 Jamison also reveals why he loved the job despite its obvious shortcomings and how he almost lost the Memphis gig when he worked a shot as Jim Cornette’s cousin Percy for Houston promoter Paul Boesch for a decent payday and a new haircut.